The following lecture sheds light on the topic of Multiple Pregnancy. 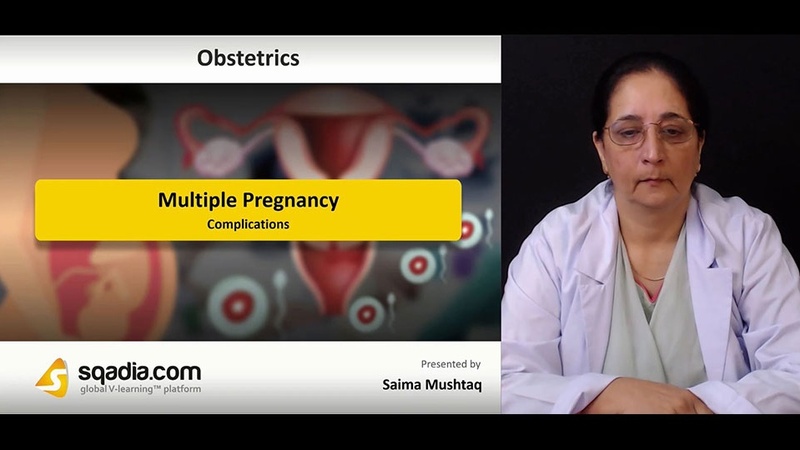 Section one of this lecture brings forth the Overview of Multiple Pregnancy. First of all, the concept of Multiple Pregnancy is clarified after which its Classification is explained. Moreover, the Aetiology and Epidemiology of Multiple Pregnancy are highlighted. Subsequently, the educator talks in detail about the Care of Women with Multiple Pregnancy. In section two, the Complications of Multiple Pregnancy are reported. Numerous Complications of Multiple Pregnancy are addressed by the educator which include Exaggerated Physiological Changes, Preterm Delivery, Twin-To-Twin Transfusion Syndrome, Perinatal Mortality, and Fetal Growth Restriction. In section three, Monochorionic Twin Pregnancy is the prime focus. The educator elaborates on the Complications of Monochorionic Twin Pregnancy such as Twin-to-Twin Transfusion Syndrome (TTTS). Subsequently, the Diagnosis of TTTS is discussed. Afterwards, the educator delivers information about Quintero Staging and demonstrates Twin Anaemia–Polycythaemia Sequence (TAPS). Later, the Treatment of TTTS is elucidated which includes Fetoscopic Laser Ablation. While concluding this section, the educator pursues the topic of Monochorionic Monoamniotic Twin Pregnancy. Section four is about Antenatal Care. The topic of Antenatal Care is comprehensively introduced followed by an elaboration on Screening in Multiple Pregnancy. Following this, the educator thoroughly speaks about Anomaly Scan and discusses Growth Assessments in detail. Section five emphasizes on the Delivery and Management of Multiple Pregnancy. 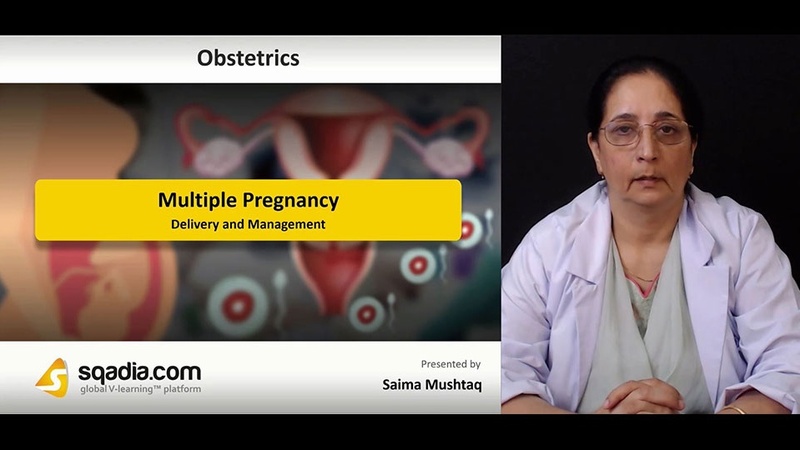 The educator talks in detail about Delivery and Intrapartum Management. Afterwards, the various concepts of Higher Order Multiple Pregnancies are elucidated along with the risks associated with it. At the end of this section, significant details about Multiple Pregnancy Support Groups are unveiled.